Less talk, more Duetto I'm Wille R.
A Duetto, what is it? Is a Spider with a long tail a Duetto? People often ask this question but there is no simple and straight answer. 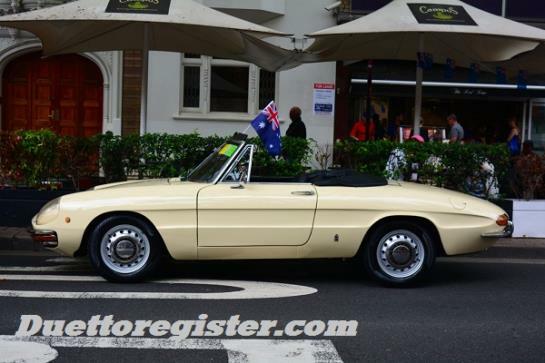 But yes, An Alfa Romeo convertible with a long tail is a Duetto in the Duettoregister and a lot of other sources. 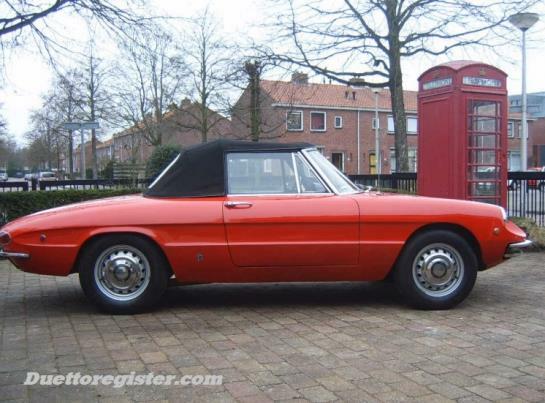 If the Spider has a rear end like this, it's a Duetto. US Duettos had red/red lenses but most other markets had amber/red. It's just so beautiful. 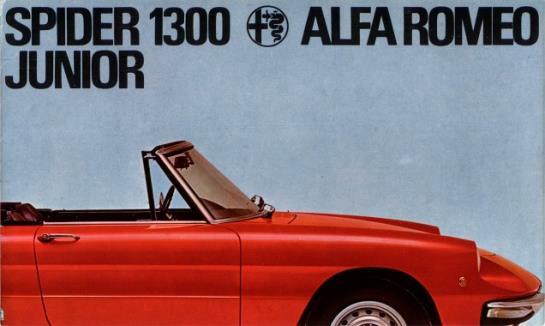 The pic above shows the original series Spider 1600, the Boat-tail, long-tail, "Coda Longa", "Osso di Seppia" or the Duetto. 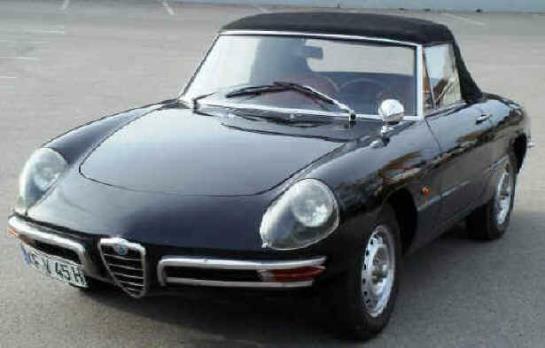 Or Duetto 1st series. 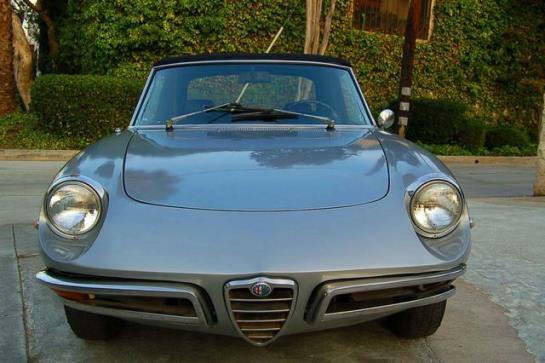 Pininfarina designed the Duetto and manufactured these cars too from 1966 to 1969. There were three versions of the Duetto. In the US cars are referred to as Round-tails or Boat-tails. In Europe many countries said "Osso di Seppia" which means "cuttle-fish-bone". In Germany people say "Rundheck". BTW and "Coda Longa" are the identities used. Anyway, the design still looks very attractive. The choice for the name of the new car was decided by a competition. 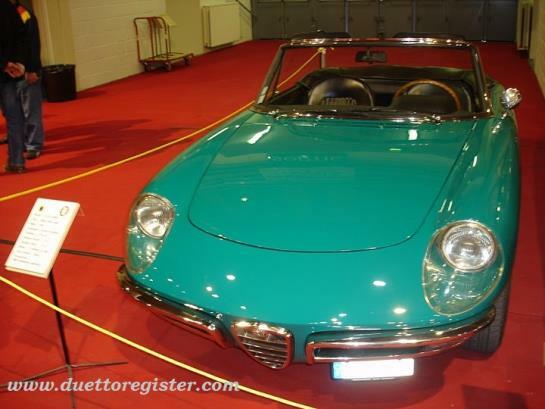 The name Duetto was one of more than 140.000 entries. The winner, Sig. Guidobaldi Trionfi from Brescia, got a brand new car as a prize. Among the other suggestions included Gina Lollobrigida, Bardot, Piranha, Acapulco, Shakespeare! Al Capone, Pizza, Stalin, Sputnik, Edelweiss, Gin, Strip, Goal and Hitler! Duetto is nicer, much nicer. 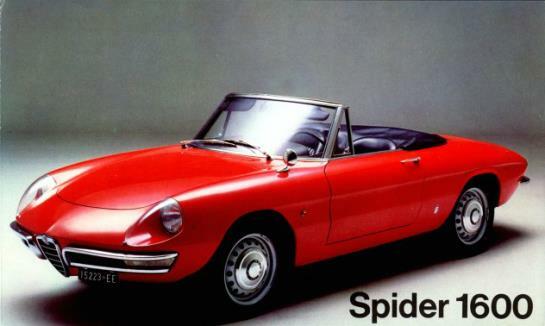 In Italy people say Duetto for all 105/115 spiders between 1966 - 1993. 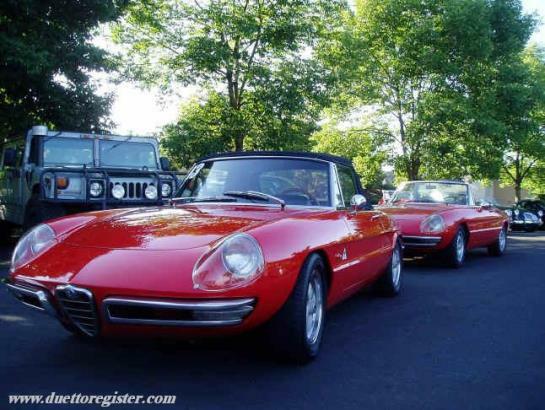 The clubs call themselfes Duettoclub Italia and Club Alfa Romeo Duetto. Just to confuse you. 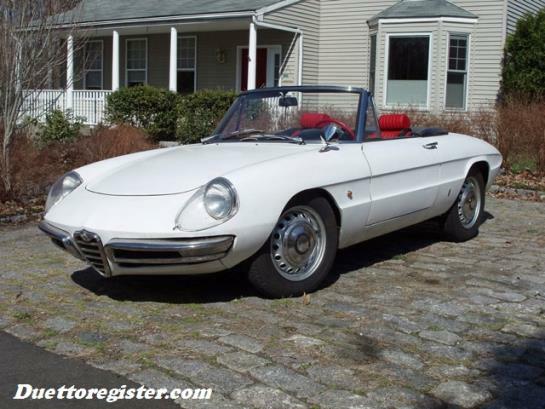 I have also found that far too many of those who ckaim the meaning of a Duetto definition, very, very often don't even have aa Alfa Romeo spider, nor a Duetto. But opinions are like bottoms. Everybode has one. 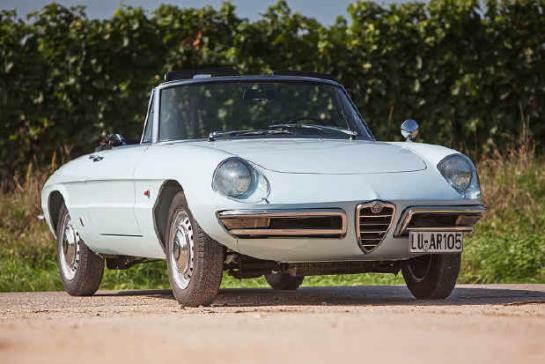 So, be happy if you have a Duetto 1966 - 1970, with a long tail. That's a Duetto on my sites. 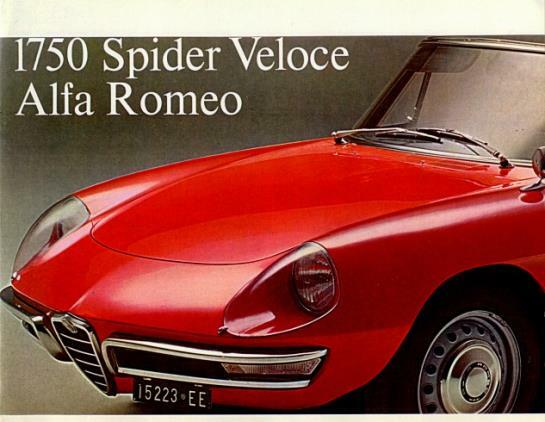 Funny enough, the Alfa Romeo US importer made a rare leaflet where they said Duetto Spider. This was the only time the word was ever used. Maybe that's why so many in the States are concerned about the word? As usual, the sourse is Duettoinfo.com and the brochure is here..
To confuse you even more, are these Spiders all Duettos?